Obesity causes significant stress and damage to the body. From diabetes to sleep apnea to heart disease, there are dozens of changes that obesity makes to the body that can affect your health and potentially reduce your lifespan. Weight loss surgery is a medical option that doctors and surgeons recommend when you have been unable to successfully lose weight through other means. 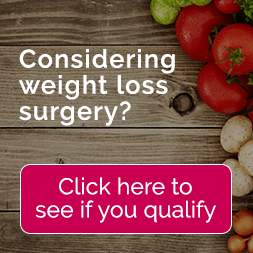 Weight loss surgery is highly effective at promoting long-term weight loss, and is known to reduce – and often cure – many obesity-related diseases. Yet obesity itself can also make bariatric surgery challenging, and one potential challenge is caused by an unusual symptom of obesity – an enlarged liver. Why Does the Liver Enlarge? The liver enlarges due to an obesity-related disease known as “Fatty Liver”. This is when fat accumulates in the liver and the liver struggles with inflammation. Though it is not entirely clear what causes fatty liver disease in obese patients, it is believed to be caused by insulin resistance during obesity. Why Do You Need to Shrink Your Liver Before Weight Loss Surgery? Bariatric surgeons have decades of experience with complicated weight loss surgery procedures. But there is one issue that can quickly make weight loss surgery challenging, and that is caused by the enlarged liver. When you struggle with the fatty liver disease, your enlarged liver, and the surrounding tissue may block the view for the surgeon, and may also get in the way of the bariatric surgery tools. This increases the likelihood of complications. The surgeon would be at risk for accidentally hitting the liver with the laparoscopic tools, or causing damage to the surrounding tissues. It is critical that you take the necessary steps to shrink your liver before weight loss surgery. It is considered so important that some surgeons will cancel the surgery if they find that the patient is still struggling with an enlarged liver. Before your weight loss surgery, you will be given a pre-operative diet. This diet is specifically used to shrink the liver before weight loss surgery. These pre-op diets may last anywhere from 2 or more weeks. They consist of eating meals that are high in protein, but low in calories, carbohydrates, and fats. You may be asked to use meal replacement protein shakes, and you will be told to avoid alcohol and other behaviors that enlarge the liver. Here is a sample of a pre-op bariatric surgery diet from the University of Mississippi. Studies have shown that losing weight before surgery and avoiding carbohydrates and fats in the weeks leading up to surgery can reduce the size of your liver through a process known as “ketosis,” which is when your body starts to use its fat stores because it has run out of fuel (calories). Excess fat in the liver appears to be one of the first places the body turns to for this added fuel. Your doctor will determine the best diet for shrinking your liver, and how long you need to be on the diet for the surgery to be successful. This diet is critical for the safety of the surgery, so patients should expect to follow it exactly as prescribed, and not be tempted into one “last meal” before surgery. Reducing the size of your liver is often a requirement of most bariatric surgeons. It may seem ironic in some ways, as weight loss surgery itself may be one of the few cures for fatty liver disease. But it is still considered a necessary part of the pre-operative procedure and can have a significant effect on the outcome and risk of complications.